Thanks for your interest in contacting me! I do welcome feedback about the site. But I am just one person with a full-time “real world” job, so before you spend time crafting the perfect letter, let me suggest a few alternatives. If you’re a Viggo Mortensen fan looking to share thoughts with fellow enthusiasts, I encourage you to visit the Viggo-Works forum. You’ll find a lively, intelligent, warm and welcoming community. Members share thoughts on a variety of subjects, from Viggo news to arts, politics, and mythology. You can “lurk” for a while before registering if you’re not sure you’re ready to take the plunge. If you want to know the next time Viggo will be speaking, reading poetry, having an art exhibition, or otherwise being accessible to the public, I suggest checking Viggo-Works regularly. If I learn of an event, I’ll try to post information on the blog before the event is past, but V-W is much more likely to learn of it in a timely fashion. They also have a Twitter feed, and unlike me they actually update it regularly. 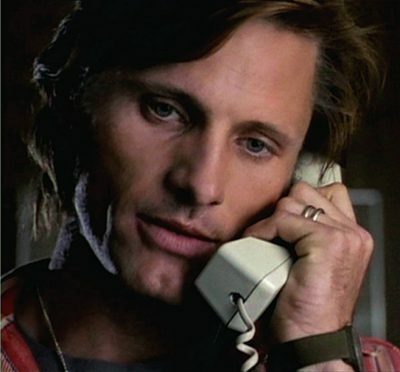 I have no idea how to contact Viggo Mortensen. I have no plans to try to figure out how to contact him. His private life and business matters are not relevant to this website. Perceval Press has also indicated that they will not forward mail to him. If you have a business proposition you may be able to contact him through one of his agents. But no, I have no idea how to find them and it’s just not my thing. Please don’t ask for my help on this. If you have feedback about a blog post (positive, negative, informative, off the cuff), please leave a comment on the blog. I’m hoping that comments will be constructive and come in at a pace I can handle. Finally, if you do contact me with your comments on the site, I might like to be able to post your thoughts in the Guestbook at some point. So let me know if you’d rather not be quoted. Your email address won’t be published nor will it be used for anything other than to respond to your message. I do get behind on email sometimes so please be patient if I can’t respond right away. Whew! Sorry about the grilling. If you still want to fill out the form below, please be my guest!